We hope you are ready for a great summer reading program! This year’s theme encompasses programs that allow you to be the creator. Ages of the participants are children from Pre-K through Adults. Registration begins on May 24th and runs through June 17th. You must register for the reading program in person at the Library. The Kick-Off Event will be held on June 10th. 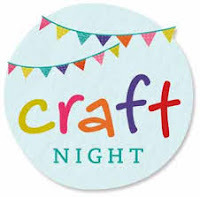 6:30 PM – 7:30 P.M.
Get out for a night of Crafting something fun for the season. All supplies are included and there is no fee. Join us for an afternoon of Easel Drawing as we celebrate our Summer Reading Program of Reading By Design. Create your own designs on easels we will have set up in the meeting room.